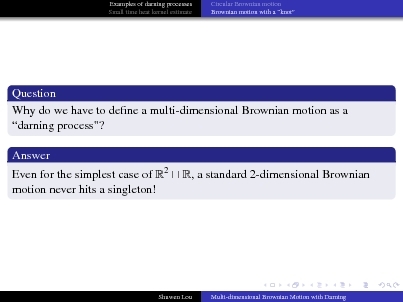 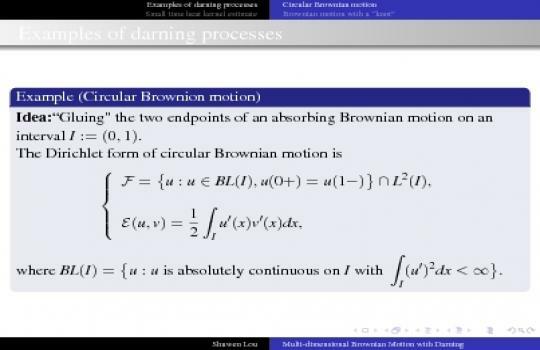 The reason that we define multi-dimensional Brownian motion as a darning process is that, even for the simplest case which is R^2 being unioned with R^1, such a process cannot be defined in the usual sense, because 2-dimensional Brownian motion never hits a singleton. 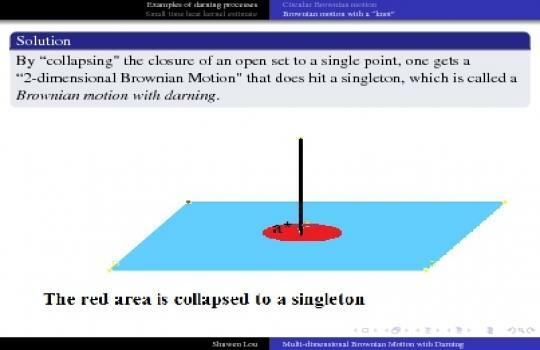 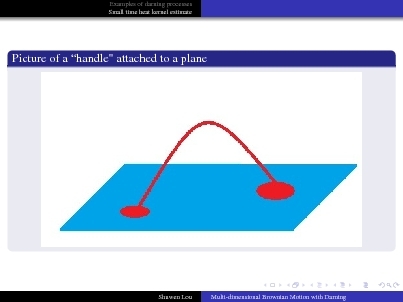 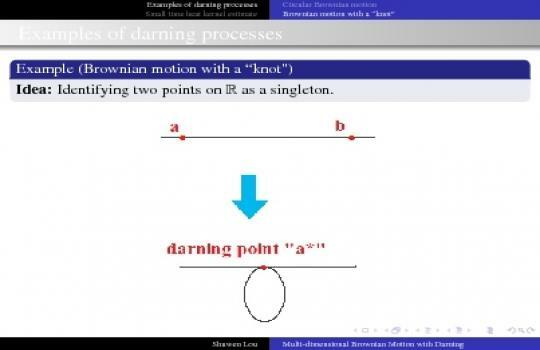 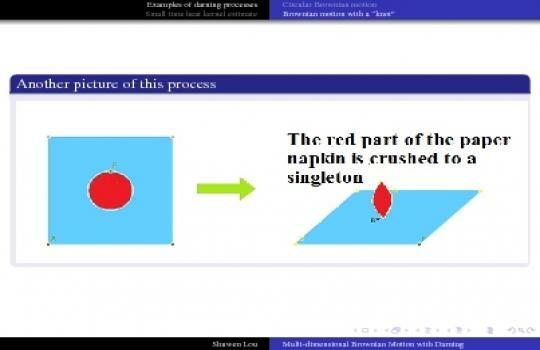 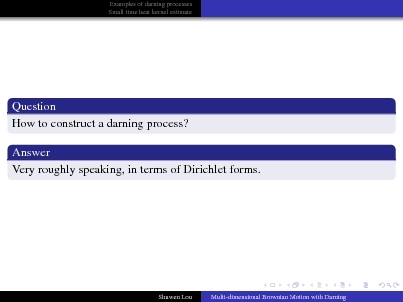 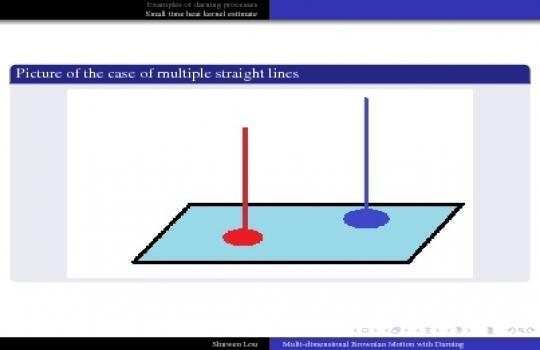 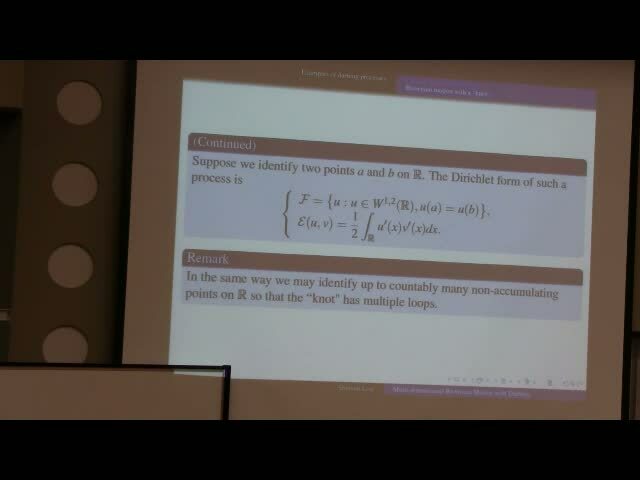 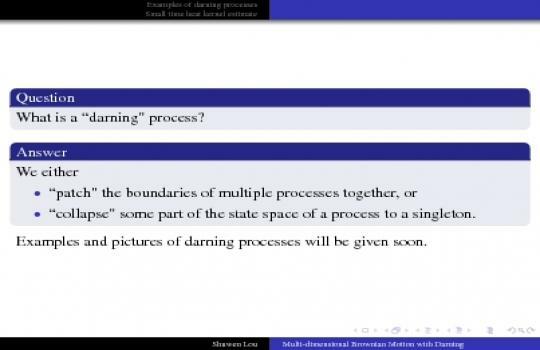 Constructions of darning processes are based on one-point extension theory which was first studied by M. Fukushima. 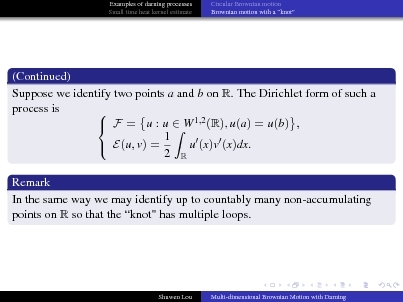 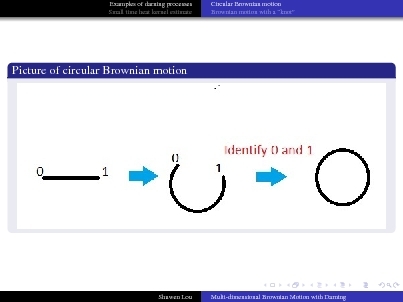 Lots of very interesting examples, for instance, circular Brownian motion, Brownian motion with a ``knot", etc., can be constructed in this way, some of which will be provided in the talk. 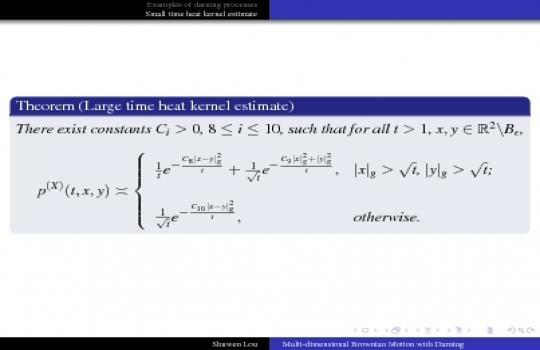 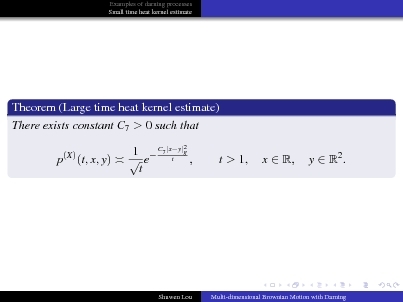 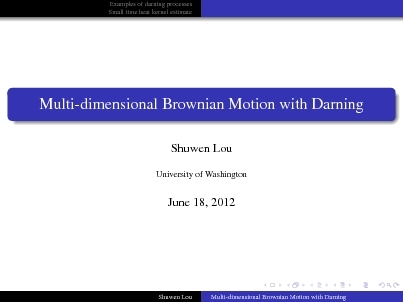 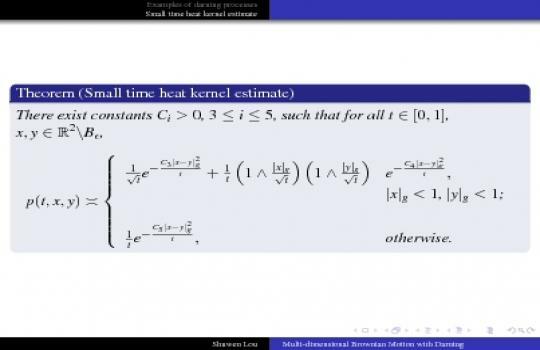 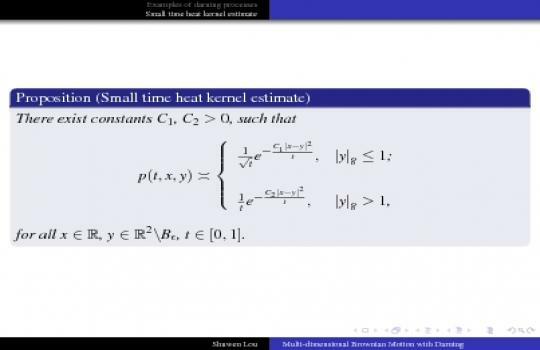 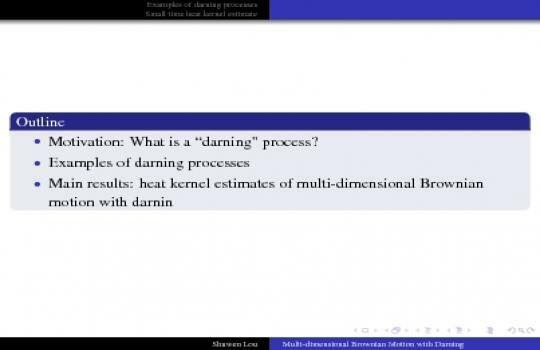 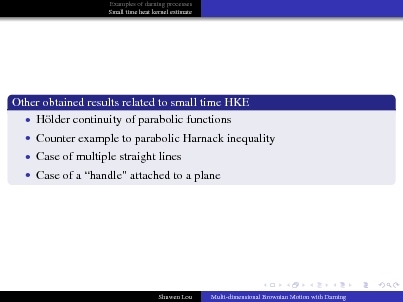 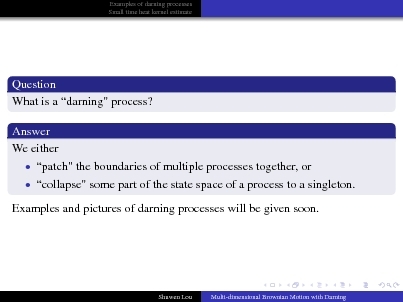 The rest of the talk will be focusing on the heat kernel estimates of multi-dimensional Brownian motion with darning.